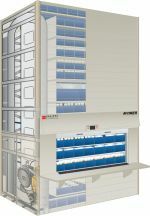 Put our 30 plus years of providing automated and hi-density storage systems for manufacturing to work for you. Saving employee time, preventing workplace injuries and saving valuable floor space are our key areas of focus. Don't let inefficient, old fashion, ergonomically challenged storage equipment hurt your productivity, cause worker comp claims and eat up precious space - we can assist you in becoming as efficient as possible with our state of the art equipment. Contact us for more details - you'll be glad you did. A productive, space-efficient storage system designed for small parts. 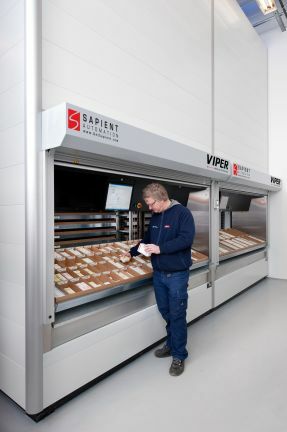 The difference between materials handling and materials managing starts with the Sapient Viper Vertical Lift storage system. It uses vertical space instead of expensive floor space. 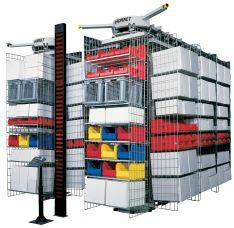 By utilizing vertical space, the Viper vertical lift storage system packs more high density storage capacity per cubic foot than other type of system on the market. Wide range of software and control options from the built-in microprocessor to a fully interfaced and integrated inventory management system. Pays it own way day by day: ask us and we'll show you other progressive companies have turned materials handling problems into materials managing solutions with Sapient's vertical lift system. 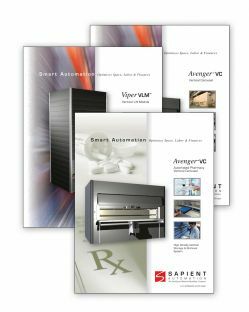 Sapient Automation's Avenger Vertical Carousel saves time and space in small parts handling. The Avenger vertical carousel increases productivity in high pick-and-put situations as much as 125%. Ideal for small parts assembly lines, inventory storage, work-in-process and warehousing, its fingertip delivery within seconds saves time and reduces operator fatigue. Sapient Automation's Hornet Horizontal Carousel System provides a totally flexible system that lets the operator pick multiple items from the same static location. Each carousel consists of a shelves which rotate on an circular/oval track. Multiple carousels can be integrated into pods and with each pod the carousels rotate to the next pick making the picking process extremely quick for unparalleled throughput. Pick-to-light systems are integrated to direct the picker. Designed for all types of applications, high to slow throughput and order consolidation systems. 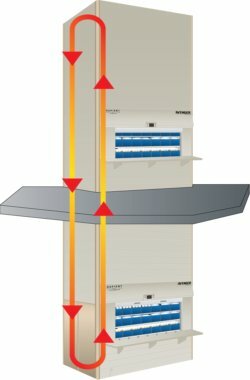 Sapient Automation's Hornet horizontal carousel systems combine high reliability, efficiency and cost effectiveness. 2019 Diversified Storage Systems. All rights reserved.. Login.